Xiaomi manufacturing is the fast-growing techs organisation, it has provides large numbers of devices to the markets. And also a lot of users like its devices, cause of good performance smartphones. Every new device is better from previous devices, it has released for our device latest OS with stability performance and every new require able apps. Today’s we share some important guidelines for Xiaomi smartphones. About how to install MIUI 10 ROM on Xiaomi Devices via Fastboot ROM and Recovery ROM. Below guide help for those users that have Xiaomi device and want to upgrade new stable ROM. Follow and keep in touch with new stable and latest ROM on your device. Xiaomi releasing the new ROM for our devices that have supported and smoothly running on Xiaomi smartphones. But some users don’t know how to flash MIUI 10 ROM on Xiaomi Devices. So follow below guide and easily update our Xiaomi smartphone to latest stable ROM. There is two way to install MIUI 10 ROM on Xiaomi Devices. First is Recovery mode and the second one is Fastboot mode. 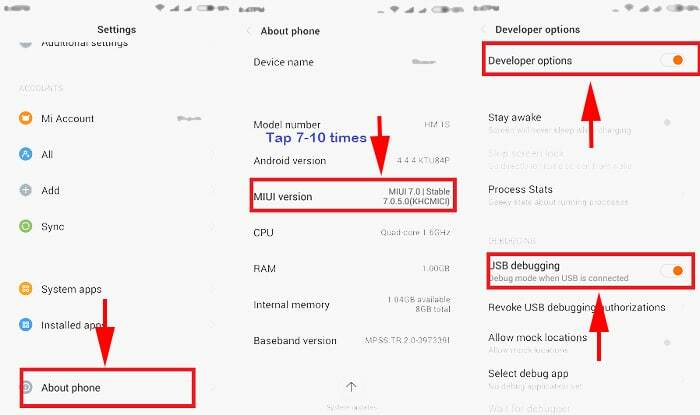 Below we described both methods to installing the Stable ROM on Xiaomi smartphone. First, follow the initial some important info and then get towards the main guide for updating our device. Download the specific ROM for our device that is stable and mentioned for your device. Follow the step by step guide and don’t miss any step during the process. Cause if you miss anything in the process. And something goes wrong, then we will not liable. Proceed at their own risk. To installing new ROM on your device, it may erase your important data. So we advise you first Back up your important data and then proceed the process. Then go back to setting> developer option and enable USB debugging. See below screenshot. Properly charge your device before starting the process, at least 60% and then proceed. 1: Make sure your device running on latest MIUI 10 Stable ROM. 2: Download the MIUI 10 stable ROM for your device from specific version and save on your root folder in internal storage on your device. 3: The updating file will be in .zip form, you must rename the ROM file to update.zip. 4: And then open up the ‘Updater’ app from the tool folder. 5: And now click on the three-dot menu (‘…’) at the top right corner. 6: Once you open the three-dot menu then choose update package. And then navigate the ROM.zip file and start the flashing process. 7: Once the process complete then your device automatically reboot into normal mode. Done! 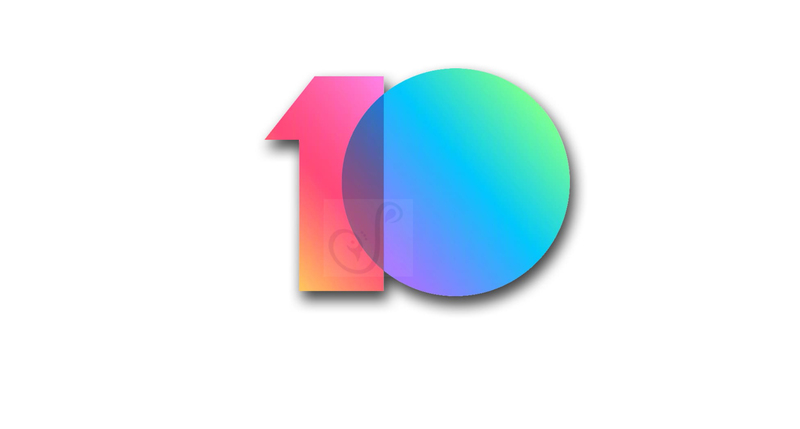 Your device successfully install MIUI 10 ROM on Xiaomi Devices. 1: Firstly, download Mi Flash Tool from above and extract and install on your PC. 2: And then download MIUI 10 Fastboot ROM for your device. 3: Now boot your device into Fastboot mode. For to do simply press and hold Volume Down + Power button at the same time for a while. 4: After that connect your device to PC using suitable USB data cable. 5: Now extract the Fastboot ROM and copy its path on the PC. 6: And then open MI Flash Tool and Paste the address bar of the ROM file folder path that you copied from above. 7: Now click on the ‘Refresh’ button, it will automatically recognise your device. 8: And then click on the ‘Flash’ button flashing the MIUI 10 ROM on Xiaomi Device. 9: Now wait for completing the process. And once the process complete and progress bar fully green then your device successfully flashed. That’s it! This is the easy way to install MIUI 10 ROM on Xiaomi Devices. If you have any trouble then contact us we assist you to solve your problem ASA possible.